Carlos Santana has had an impact on the world that is matched by few other musicians. Over a span of more than 50 years, he has created an impressive body of music, from the initial album, Santana by Santana, to the more recent collaborations with current artists like Rob Thomas (Smooth), Indie.Arie (While My Guitar Gentley Weeps) and Wyclef Jean (Maria Maria). 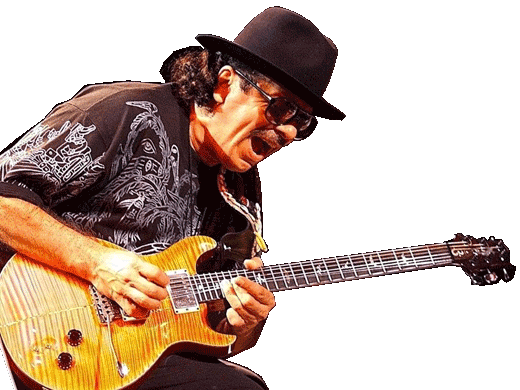 But the "Santana effect" goes far beyond writing and performing music, and the last couple of decades have seen him venturing into a number of different arenas. First, there is his influence on musical equipment. Carlos Santana and Paul Reed Smith have been working together since the '80s, when Santana first played a custom-made PRS guitar. Subsequently, they have introduced a number of Santana signature models, including 2011's spectacular PRS SE Santana guitar. Yamaha also produced a recreation of the Yamaha SG that Carlos played in the '70s. And GHS launched the Santana "Big Core" guitar strings. 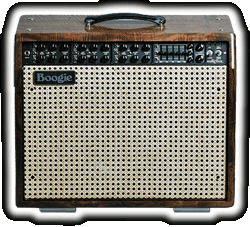 Although he was never officially allied with them, Carlos famously came up with the "Boogie" half of the Mesa Boogie name, and was a major force in the development of the saturated, sustain-laden amp sound that so many musicians take for granted today. It began with the Carlos by Carlos line of women's shoes in the early 2000s. But the Santana name has now been attached to Colognes, Perfumes, and other grooming aids, a brand of hats, two different types of liquor (Santana DVX sparkling wine, and Santana Tequila), and a restaurant chain (Maria Maria). Who can guess what will be next? In an effort to improve the situation of young people the world 'round, Carlos — along with his then wife Deborah Santana — created the Milagro foundation. The organization raises money and distributes it to a number of other charities, including Doctors Without Borders, UNICEF, and Save the Children. 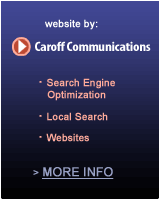 Thanks for visiting, and we hope you enjoy the site! GHS Guitar Strings: "Big Core"